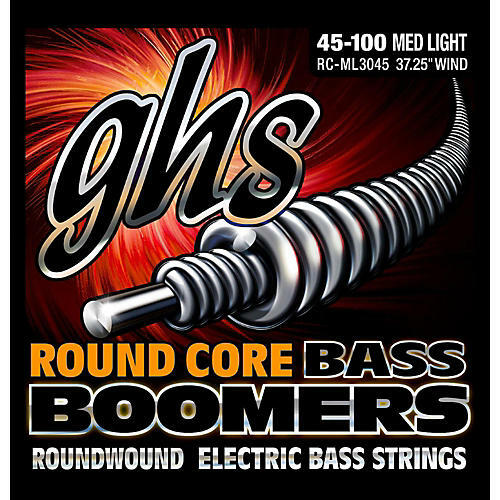 BASS BOOMERS 45-100.Designed by bassists in the office and road-tested by bassists from the Artist Family, Round Core Bass Boomers have a full frequency sound (generous in the low mids) with a clear, soft high end. Wound over a round core, these strings will sing on the stage, in the studio or in rehearsal. Designed by bassists in the office and road-tested by bassists from the Artist Family, Round Core Bass Boomers have a full frequency sound (generous in the low mids) with a clear, soft high end. Wound over a round core, these strings will sing on the stage, in the studio or in rehearsal.